Cape Coral's temperate climate, abundant parks, and access to the Gulf of Mexico make it an ideal destination for boating, fishing, hiking, playing golf, and many other outdoor activities. Cape Coral is the perfect destination for any outdoor enthusiast, and from hiking one of the many trails at the Charlotte Harbor Preserve State Park to fishing at the Cape Coral Yacht Club there are activities for just about everyone. The beautiful waters of Southwest Florida provide boaters a wonderland of places to explore. With hundreds of canals in Cape Coral, to the Ft. Myers banks of the Caloosahatchee river, boaters can travel to the tropical waters of the Gulf Coast or inland as far as lake Okachobee. Southwest Florida is Boater's Paradise! 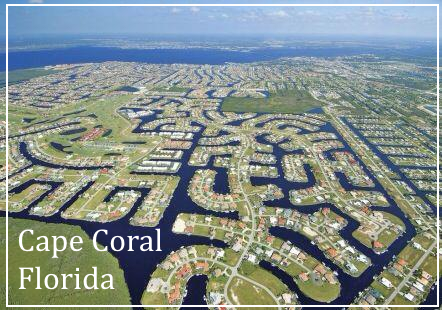 Cape Coral has over 400 miles navigable canals, with about 100 of those miles leading to the Gulf of Mexico, availability of Gulf Access property is abundant. Contact us today to discuss building your gulf access dream home.